PLANNING MODE: Capricorn Coast Writers Festival committee members Shelley Russell Nolan, Nene Davies, Lincoln Bertoli, Amy Andrews, Nicky Way. 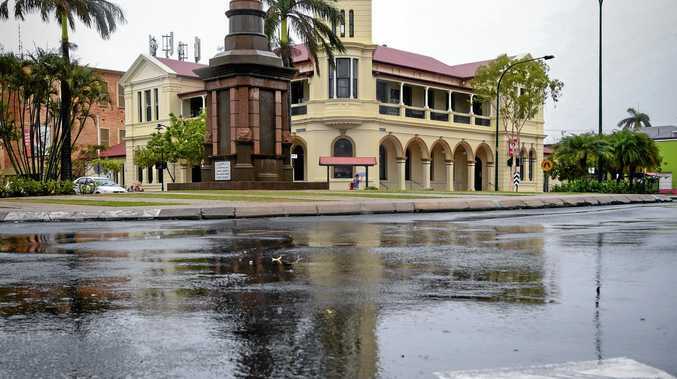 WRITERS across the region are getting excited at the launch of the first annual Capricorn Coast Writers Festival, planned for May 31 to June 2 next year. 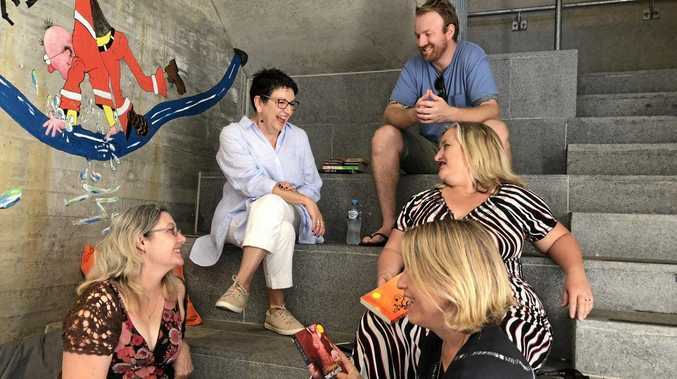 Festival director Nene Davies said it was the willingness of the Yeppoon community to support local talent and develop new and exciting ideas that inspired a group of local writers to get the first Capricorn Coast Writers Festival off the ground. "The idea of starting a Writing Festival here on the coast grew from when my family opened Chapter Yeppoon last year," Nene said. "I love the idea of promoting books, reading and writing and when I met a couple of fellow writers at bookclub, we got chatting and thought, let's do it. "It's our hope that the community's curiosity and its readiness to give something a go will help make the CCWF successful, it even inspired our theme for the festival 'Where curiosity meets inspiration'. Writers Festivals are only as strong as their program and authors, Nene said the CCWF committee have been hard at work finalising both of these key elements. "Our committee; Amy Andrews, Shelley Russell Nolan, Nicky Way, Lincoln Bertoli and I, are excited about the program for our first festival," she said. "We don't want to give too much away but we can tell you that it will feature both national and local authors, amazing workshops, author talks and panel discussions. "And, of course, no event can get off the ground without the financial and in-kind support of its local community. "We're calling on local businesses and individuals who would like to support and foster a love of reading and writing, to sponsor or donate to the Capricorn Coast Writers Festival. "We live in a supporting and caring community and can't wait to bring this exciting festival to the coast." If you would like to donate to, or sponsor, the Capricorn Coast Writers Festival please email info@capricorn coastwritersfestival.com. For more head to Facebook and Instagram.